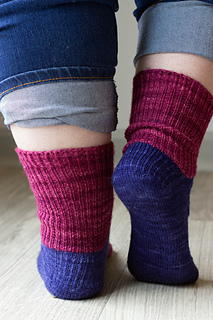 These unique socks make full use of a color-blocking yarn! 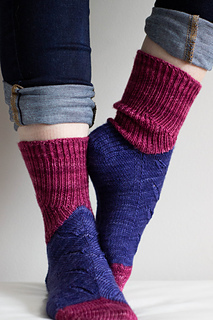 Clever shaping accents this sock with flattering chevrons, while unique stitches create interesting texture along the top of the foot. 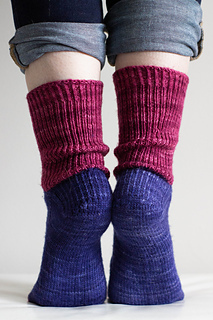 This sock is written for average width but can be modified for length and by going up or down a needle size, for width. 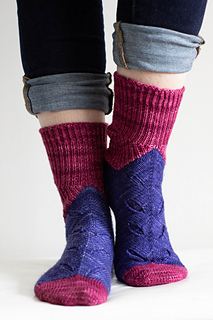 This sock is worked toe-up using the Magic Loop method. 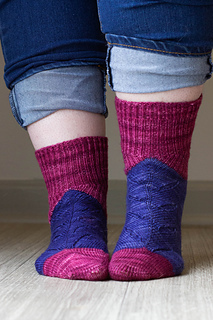 The sock makes use of German Short Rows (instructions included). This pattern and yarn are available as part of the April 2019 Knitcrate Subscription. You can find more about this here!